We eventually made it to Cedar City, which is actually quite a big town. How do we know? Because there’s a Home Depot and a Target and a Starbucks and highways! 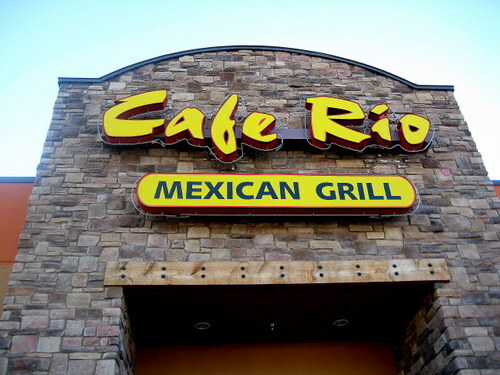 We ended up eating dinner at Cafe Rio, which is a mexican chain joint out of Salt Lake City. We both ended up getting burritos. 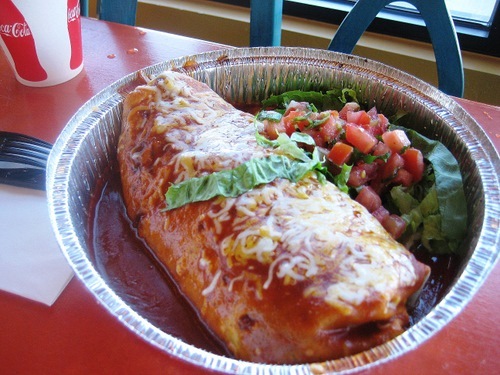 S got the sweet pork barbacoa burrito, enchilada style. So basically, that means it was slathered on the outside with sauce. These things are sizeable. S found the pork to be a bit too sweet, but I quite liked it. But I do agree that it might be a tad too sweet, even for me. The sauce was a little bit sweet too. 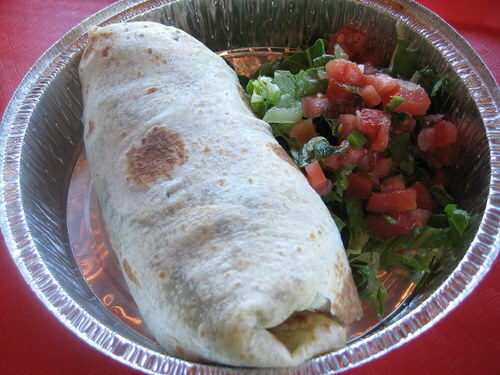 I got the fire grilled steak burrito, and did not get enchilada style. At first, they made it enchilada style anyway, without asking me, and then ended up redoing it for me. The steak is actually fire grilled, I saw them make it while I had to wait for a new one, and damn, the beef is really freakin good. It was a lot better than the pork, in my opinion. But I should have gotten enchilada style as it does make it a bit better. I don’t know what they do to the beef, but they’re doing it right. It’s really quality. I prefer this spot over chipotle or qdoba or any such nonsense.